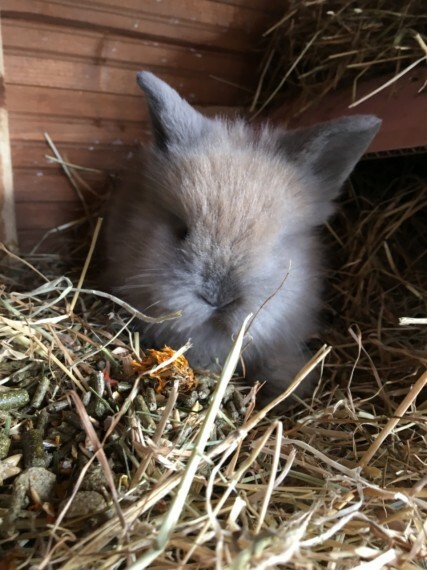 Mini lop cross lion head. Available for reserving. Ready 18th/19th April Two identical bunnies females left. Bunnies will leave with a bag of change over food, birth certificate. Life time of support and advise offered. A deposit of 20 secures per bunny. Further 20 on collection. These are adorable. Both parents can be seen and met upon appointment viewing. Handled daily and will be used to indoor noises, will need to stay indoors until older. Please ensure you can offer a forever home. Please note; bunnies are happier in pairs. Are you planning on giving this pet a home? Please make sure to visit our Rabbit Advice section for further information on being a responsible owner and general pet advice.